Air Astana has announced its operational results for the first half of 2017. The airline carried 1,894,391 passengers for the period January-June 2017, of which 1,007,413 were domestic passengers and 886,978 were international passengers. 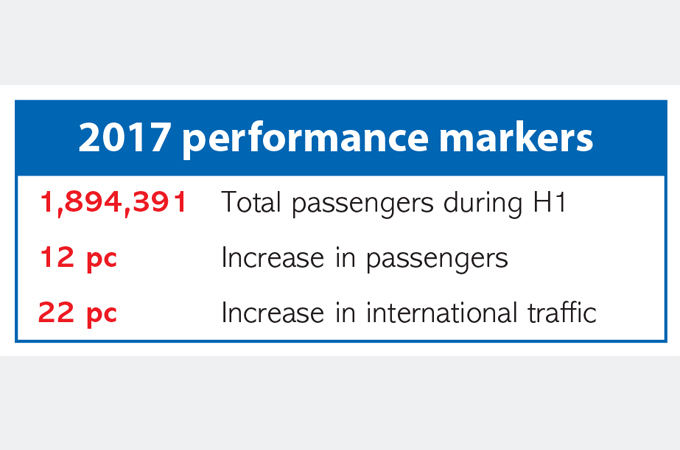 Overall passenger traffic increased by 12 per cent for the period. While passenger growth on domestic routes was a relatively modest 4 per cent, international traffic grew by 22 per cent, driven to a large extent by network traffic transiting through its Astana and Almaty hubs, which grew by 62 per cent. Cost pressure, driven by higher fuel prices in Kazakhstan, has increased, however the airline’s unit cost remains very competitive enabling the airline to increase long-haul flights. Air Astana has recently won the Skytrax Award for ‘Best Airline, Central Asia and India’. Air Astana is focused on product improvement, and has introduced onboard internet connectivity. The airline plans to acquire five brand new Embraer E2 regional jets. The fuel-efficient aircrafts will drive continued improvements in efficiency and product quality.